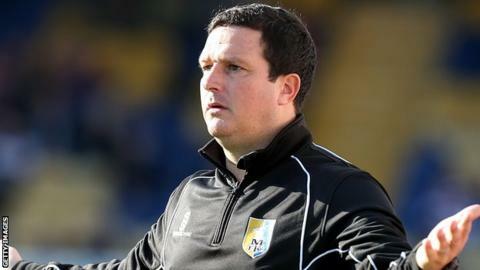 Torquay CEO Steve Breed has said he believes manager Paul Cox will stay with the club "for a long time". Cox was appointed boss of the National League side Torquay in June, with former United manager Chris Hargreaves placed on gardening leave. Hargreaves was placed on leave having refused to take a pay cut, but the club are still paying him until May 2016. "What I like about Paul is he's fully aware of the situation and it doesn't faze him," Breed told BBC Radio Devon.